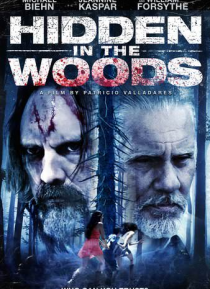 Hidden in the Woods tells the story of two sisters who have been raised in isolation, subjected to the torment of their abusive, drug dealing father. When they finally decide to report him to the police, he kills the two officers and is put in jail. But things go from bad to worse when the girls must answer to their Uncle Costello, a psychotic drug kingpin, who shows up looking for his missing mer… chandise which is hidden in the woods.